separated by a vast ocean of stylistic differences and audiences. Two of the greatest vocal stylists of the past century in popular music, Lou Reed and Frank Sinatra. On the surface, there are no similarities, no common influences, no relationship to speak of, and yet we are drawing one now. The concept albums Watertown and Berlin, were released in the early 70's and both albums can be considered as career defining works. The impact of rejection of these personally invested works defined both singers later careers. In my opinion, Frank Sinatra was the inventor of the concept album. It can also be said that he invented the album, as a specific statement. Long before Sgt. Pepper went to the Dark Side of the Moon with PF Sorrow, and Tommy to hear the Pet Sounds, Sinatra released Songs for Swinging Lovers, In the Wee Small Hours, and his brilliant collection of "saloon songs" - Only the Lonely. His album Only The Lonely was a first: dark and beautiful songs that explored adult emotions in a song cyle. Frank downplayed the artist tone, calling them saloon songs, and said he was just a saloon singer. From his pitch and tone, to his interpretations of the Great American Songbook, Sinatra literally wrote the book. In fact much of what we call the Great American Songbook was written specifically for him. In the late 60's, Sinatra was looking for something new, and was approached by two songwriters, Bob Gaudio and Jake Holmes. Bob Gaudio was a member of the Four Seasons, who had tried their own hand at a concept album in 1969, The Genuine Imitation Life Gazette, which was also co-written with Jake Holmes. Holmes is better known as the composer of Dazed and Confused , later "stolen" by a certain Jimmy Page for Led Zeppelin. Watertown was released in 1970, and was supposed to just be a few songs for old Blue Eyes, but it turned into a full on concept album about the dissolution of a marriage, from the perspective of the man left behind. It is not explained why his wife is leaving, and some listeners even have theories that she is not only leaving the marriage, but the astral plane, therefore never coming back. 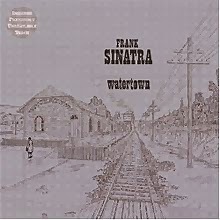 The interpretation does not really matter; what is heard on Watertown is the pain of a man going through the death of a relationship as sung by one of the great singers and stylists of the 20th century, Francis Albert Sinatra. 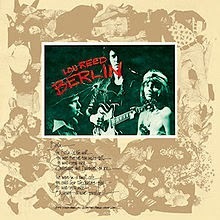 In 1973, after the success of Transformer, Lou Reed released Berlin, produced by Bob Ezrin, and featuring full orchestration including a chorus of crying children ( actually Bob Ezrin's own kids, who he prompted to cry by telling them their mother had died!). The names (Caroline/ Stephanie, Jim/Gin) were drawn from previous works, and the themes of depression and suicide are familiar ground for Reed. Berlin kicks off with saloon sounds- a piano and backward vocal tracks that sound like something out of Twin Peaks, but more malevolent. Lou is quietly setting up the tableau. "In Berlin, by the wall you were five foot ten inches tall, candlelight and Dubonnet on ice, it was very nice….Oh Honey, It was Paradise." It doesn't take much intelligence or irony to intuit that it was not paradise. What follows is far from paradise. Berlin itself was a divided city at the time. 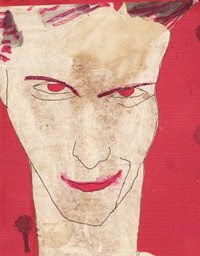 Berlin was shorthand for decadence, failure, a major divide or separation. If Watertown in the disintegration of a marriage, Berlin is the disintegration of the individual. Interesting that both albums feature a song called Lady Day. " I said no no no, Oh Lady Day." She leaves the bar going, to her room at the hotel, Lou singing in a very controlled way, while the music gets increasingly more frantic. We are not clear what is about to happen, but it cannot be good. Caroline Says 1, starts off whimsical, picking up in tempo with Lou talk-singing in his trademark style. The rich irony of Lou's voice, snarling, snarky, superior and full of bile, Caroline is still his queen. Knowing his supposed orientation at that time, it is not clear if Caroline is a man or a woman, but either way, she is his queen. How Do You Think It Feels takes it down a bit, drawing you in with a conversation, conspiratorial, accusing, the guitar stinging, Lou up for five days, hunting around, afraid to sleep making love by proxy. He taunts "when do think it stops", and we know this bus will be stopping for someone, but only after it runs them down first. Oh Jim drags us into the gutter, fill us up to here with hate, pointing out the two bit friends that always try to put us down. The horns are lively, contrasting with the wanking guitar solo. Nothing really is happening here, keep it moving. Back to the strumming acoustic guitar How Could You Treat me this way, gently singing when you looking through the eyes of hate….and time to flip the record. Berlin has a tension and Watertown has a progression of emotion. Caroline Says II takes us down a dark hallway, picks her up off the floor beaten, still not afraid to die. One of the great lines "she's not afraid to die, all her friends call her Alaska." She is defiant, biting her lip telling her abuser that he can hit her all he wants; she will gain control by becoming the architect of her own demise. She puts her fist through a pane, remarking "it was such a funny feeling, so cold in Alaska." And sweetly the strings end the song, and we know Caroline II won't be back for a Caroline III. The Kids is one of most evil songs every written and produced. I am embarrassed to admit that I would play it to torment my own mother, who would yell at me to turn down that 'horrible song". They are taking her children away, because they said she was not a good mother. What did I expect my poor mother to think? And Ezrin making his own children cry is the ultimate in Method acting and Bad Parenting. The Bed takes it down further. How much further can we go down? oh oh oh what a feeling. A ghostly choir is the background. The details of the room and bed where his girlfriend takes her own life matter of factly quietly noted. Because in the end the other person is gone. All that is left is the place, all that is left is the details, the dust, the detritus of emotion. Creepy, lost, a not so heavenly choir, and last but not least Sad Song. Like Send in the Clowns, or a movie story, sitting on her picture book, just goes to show how wrong you can be. The anger of the one left behind remarking somebody else would have broken both of her arms. What is this? Is this all there is- a house? A song? A sad song? She is not coming home. Which takes us back to Watertown. Was Lou Reed influenced by this record in any way? Probably not. Like different lives in different towns, the story is often the same. What differs is the details, and the telling of the tale. 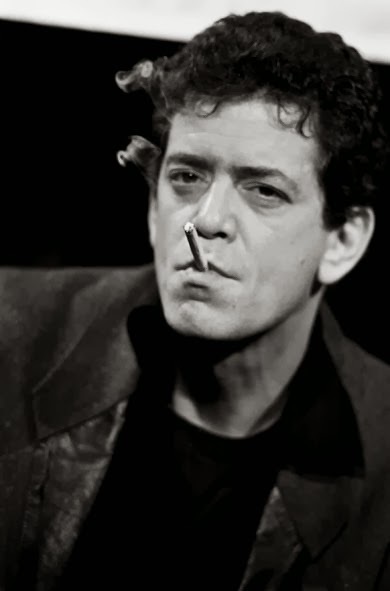 Lou Reed is not a confessional singer in the classic sense. But his songs are often full of the occassional confession, slipped in after all the matter of fact details, and he nails you to the wall with a line. She's as cold as Alaska, all her friends call her Alaska. Lou is the song writer and the lyricist. Frank is not a songwriter, except perhaps the song he "wrote" for Ava Gardner, I'm a Fool to Want you. Which if he did write it, why why why did he not write more??? No, Frank is an interpreter, an actor, and storyteller. Not the friendly Dad in the cardigan with the pipe in his hand that was Bing, bada binging his bad babies when noone was looking. No, Frank was a bad boy. With a chip on his shoulder. With a sensitive heart. An image he carefully cultivated from the post Bobbie Sox singing in his Columbia Days. And after the comeback in the 50's with Reprise, and From Here to Eternity, and the Manchurian Candidate, and Jobim, and Mia Farrow and the Kennedy's, he was looking for something new. Watertown was presented to him, and he didn't flinch. He didn't want rewrites. He even indulged the producer with retakes, as he notoriously would come in and nail in a single take. Say what you want about his private life, Frank was the professional. He was the greatest singer of the last 50 years, hands down. To hear him sing Goodbye (She Quietly Says) is like being let in on the most intimate of moments. In For A While, the goodbye is over. Now he is lost in the day to day of living, after the big moment. "I forget that I'm not over you, for a while." How do we forget something like that? Well we do, until we are reminded, and the wound reopens. "the days go by without an empty feeling, then he remembers you are gone." His friends try to fix him up to get him out of the house, out of this shell, but they forget. He is not over you. Michael and Peter is about the kids left behind. They are not crying like in Berlin. They are living reminders of what is and who is gone, as each of them remind the listener of the other. The singer starts to tell us about the house needing paint, and the lyrics are styled as if he is writing a letter to his wife. "All those years I worked for Sante Fe, never had a raise in pay." "You'll never believe how much they are growing." He is at a loss for words, so he describes everyone around him, except himself. But in doing so, he says much more that he is actually saying. Yes the kids are growing, but he is dying inside. The lyrics are so beautiful on this record. And Frank sings them in probably some of his most sensitive singing. He knows she is gone and there are no words to say, but he knows only he would never change a thing. 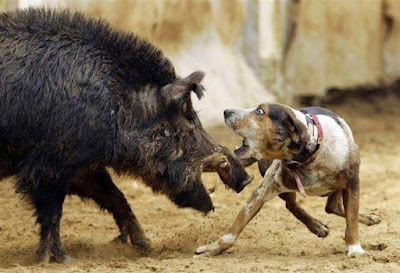 How do you think it feels? Lousy, that's how it feels. Lou has his Caroline, and Jim, and Frank has his Elizabeth. And they both have their Lady Day. It is said Sinatra's Lady Day was written for or about Billie Holiday. Oh what a feeling. What a Funny Girl and What's Now is Now are truly great songs that can work on their own. 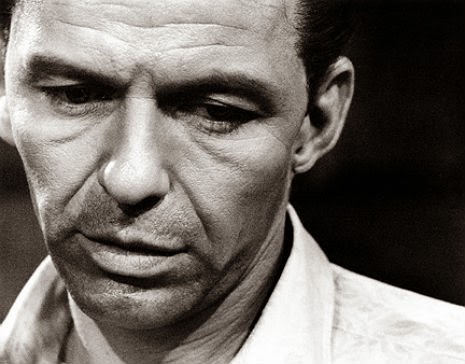 The sensitivity of Sinatra's singing is some of the best of his long career. She Says is very dramatically written with soaring verse that keep reverberating in the back of my head. She Says she is …….coming home. And so we move to waiting for the Train, like Lou waiting for his man. Will she or won't she come back? Well, it doesn 't end so well. These are not albums with happy endings. Just endings.